Could this creature really exist? Unlike many of the menacing monsters and creepy cryptids that haunt our collective nightmares, the legend of the Rake isn’t one that can be blamed on the superstitious beliefs of our ancestors. This creature was born into our collective imaginations through the internet. However, its computer-age origins don’t make it any less frightening. 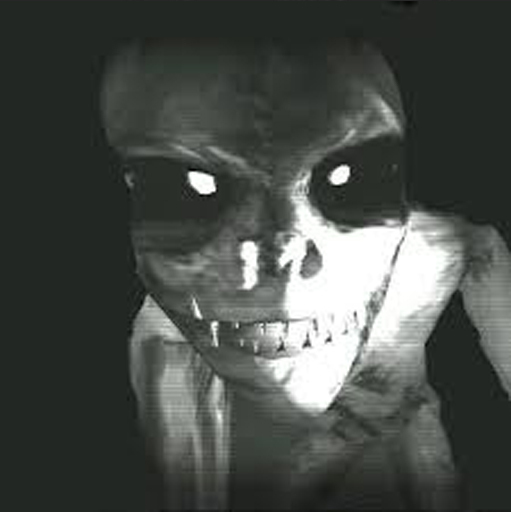 It is a monster that was born on the horror fiction site, creepypasta. Despite its first appearance on a website specializing in fiction, many believe that the tales of the creature are based on a real monster. These believers point to accounts of a creature matching the Rake’s appearance dating back as far as the 1600s. The monster is described as a humanoid creature that is unusually tall and gangly. It is hairless and deathly pale. It creeps and crawls on all fours. 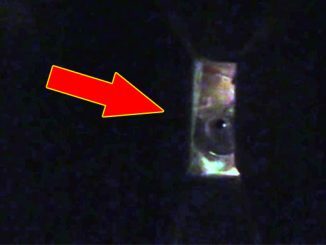 In most of the images that have been published of the creature, its black eyes seem to shine with an eerie, otherworldly light. It is fast, strong, and extremely nimble, making it difficult to kill. Based on the stories of the creature, it seems to favor dark, cavernous areas for its home, preferably in a place where it can use caves to move between populated areas when it needs a new hunting ground. However, you cannot be assured of your safety just by staying away from such caverns. 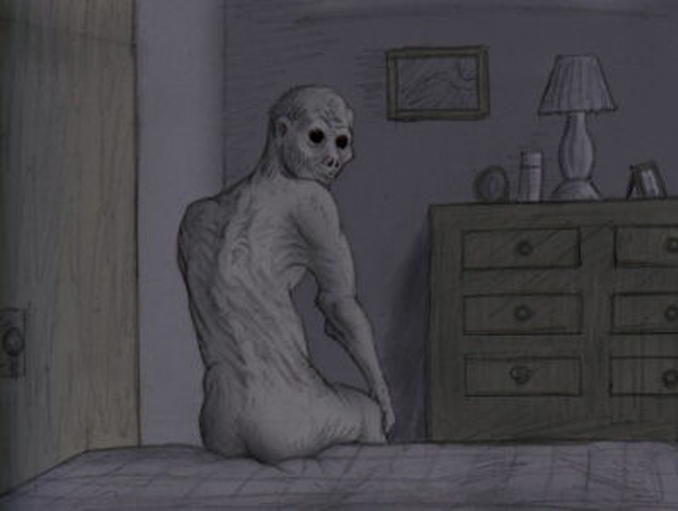 According to some accounts, the creature can find its way into the homes of sleeping humans. It will stand at the foot of your bed, waiting for an ideal moment to attack. In keeping with its terrifying appearance, the creature is extremely violent. 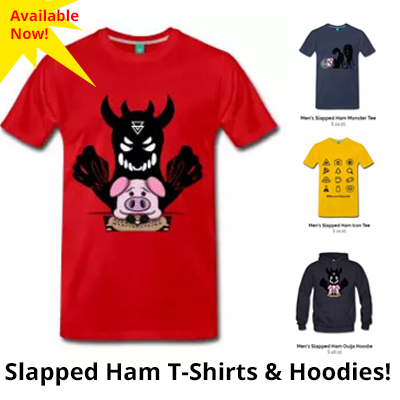 Humans that are unfortunate enough to cross its path find themselves the victims of unprovoked attacks. Those who live to tell the tale often spend the rest of their lives suffering from extreme psychological trauma as a result of the encounters, waiting for the day it will return. Often, it seems that the creature thrives on torturing its victims psychologically, driving them to madness through their fear. No one knows why the creature thrives on violence; while many monsters have a backstory to account for their cruelty, this monster’s origins are largely unknown. 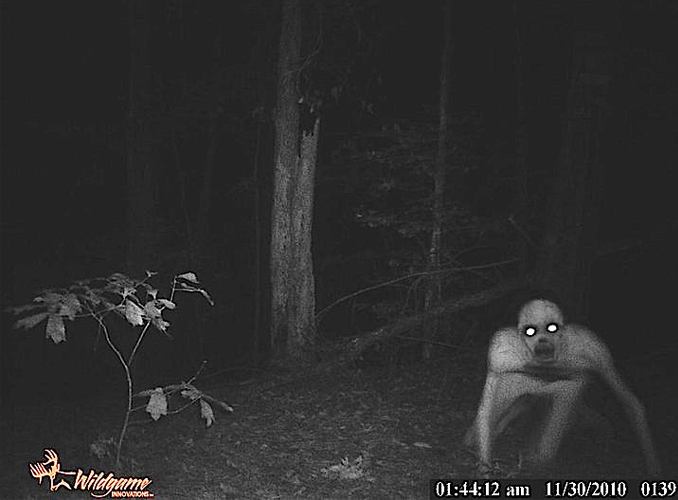 Most people believe that the Rake is entirely a piece of fiction that originated on the creepypasta site. Once the character became popular, others started adding stories about it to further spread the legend. In 2006, stories and photos began spreading like wildfire across the internet, making it one of the most popular memes of the time. While it would be comforting to believe that the creature was entirely a work of fiction, many believe that it is in fact real. They explain the explosion of stories and photos in 2006 as a collective attempt to accumulate evidence of the creature’s existence. According to the stories, evidence of the creature had been systematically destroyed, and the internet’s storytellers were attempting to rebuild the creature’s history. Even though the backstory of this elusive creature has yet to be unlocked, there have been some theories about it that help to explain its violent existence. One clue lies with the creature’s appearance. Many who study it have pointed out that it’s overall appearance has a lot in common with another online monster: Slenderman. 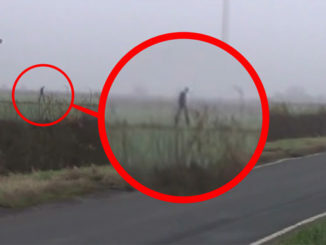 Slenderman is best known for a scandal that rocked the internet in 2014 when children began hurting each other, claiming that Slenderman had instructed them to do it. 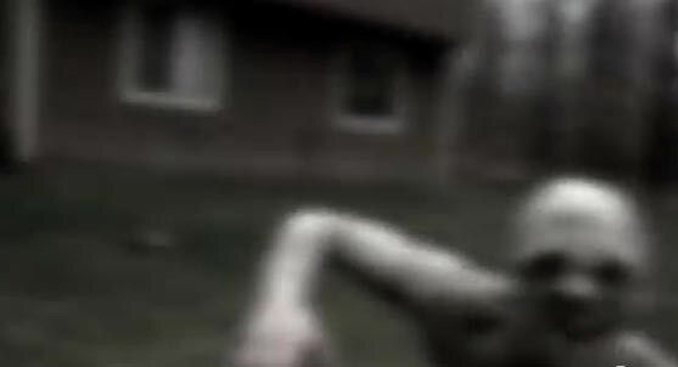 Some believe that the Rake is an agent of Slenderman, or possibly just another version of the same type of creature, who aims to spread the violence and mayhem that Slenderman is known for. Although the backstory of this creature is shrouded in mystery, the internet is not short on details about how the creature perpetuates itself. 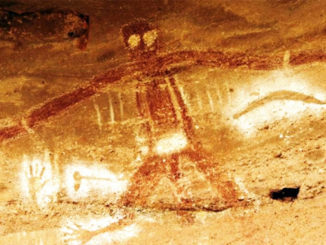 Forums around the Internet describe a video that claims to depict the reproduction of the creature. Sadly the clip doesn’t seem to exist anymore. People who claim to have seen it say the Rake pries open the mouth of a human host. It then locks its mouth over the human’s in a macabre kiss. The creature releases its protozoa into the human’s body. It is assumed that the rake will then gestate in the human’s body, feeding off of them slowly, before violently ripping itself from its host. This story is in keeping with many of the accounts of the creature that describe it creeping into the bedrooms of its victims and standing at the foot of their beds. An additional detail that can be gleaned from this account is the monster is a uniquely American creature; the mariner who wrote the log seems convinced that returning to England will be enough to escape it. However, the log can’t be viewed as entirely hopeful. The mariner writes that the creature “took everything.” While he doesn’t elaborate, we can infer that lives were lost at the hand of the creature. The next bit of the creature’s history comes from an 1880 journal entry written by an unidentified author. Whoever publicized the entry claims to have translated it from Spanish. The entry is vague but believed to be about the Rake. The author repeatedly says that they have experienced the “greatest terror.” They describe being haunted by a creature with hollow, black eyes. They say that the creature’s eyes “saw me and pierced me. His wet hand. I will not sleep.” In this account, as well as the mariner’s tale, the creature seems to be a literal nightmare, haunting the dreams of its victims and driving them to madness. According to this note, the writer woke on three separate occasions and found the creature eerily watching over their sleeping form. The terror was so great that the writer would rather die than experience it again, leading them to take their own life. Another letter was found alongside this note, addressed to someone named Linnie. It merely states, “I have prayed for you. He spoke your name.” In this letter, the writer appears to warn an acquaintance that they may be the creature’s next victim. Linnie has never been identified, so no one knows if she also met her end at the monster’s hand. According to the stories about the monster, there was a rash of encounters with the creature in 2003 in the northeastern United States. Residents of New York and Idaho were terrorized by a creature matching the Rake’s description. After a brief media frenzy, the stories suddenly stopped, and all traces of previous stories were inexplicably erased. It is for this reason that internet users would later attempt to rebuild the creature’s history based on the memories of the few who had seen it. According to witnesses, their stories may have disappeared, but the memory of the creature would be with them forever. Although some were merely curious about the elusive cryptid, most were left with a sense of deep and abiding terror. 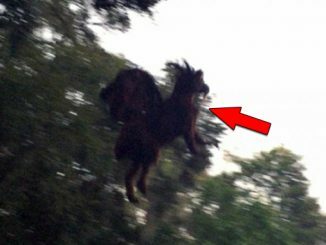 In 2010, this photo was posted online that shows a creature that seems to match the witness accounts. 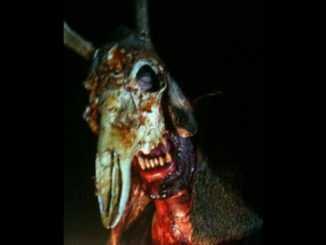 It was allegedly from a sim card recovered from a trail camera found at a destroyed hunting camp in Berwick, US. 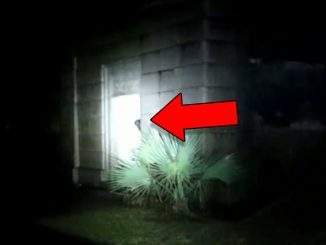 In late 2015 a video was uploaded to Youtube that appears to show The Rake lurking on the roof of a house. The uploader, Miss Lisa NL, said they could hear strange noises coming from their roof. They decided to start filming what was happening on their phone incase something strange occured. 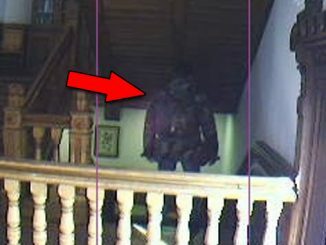 In the footage, the person holding the camera decides to go outside to take a look. As they shine a light onto the roof, a creature of some kind can be seen crawling on top of the house. It has bright, glowing eyes and a round bald head. It stares at the camera for a moment before fleeing. The uploader said they returned with a gun but the monster had disappeared. 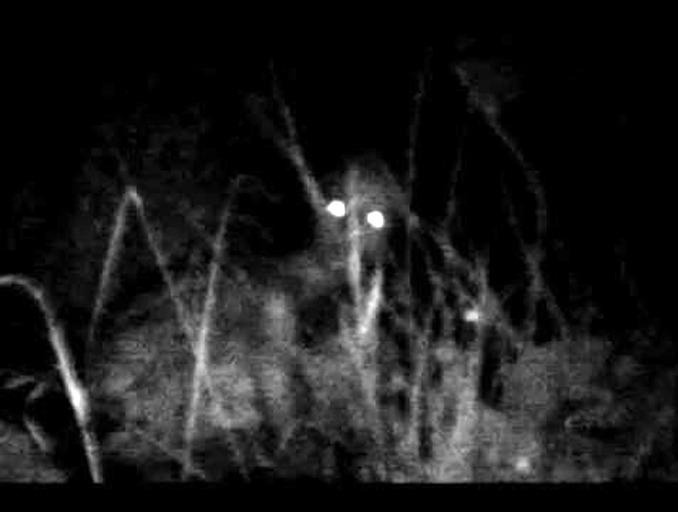 In this video, taken in an undisclosed location in England, a young man is walking through a playground at night testing the infrared feature on his new camera. As he walks along, he spots a mysterious figure sitting on top of the playground slide. The creature turns startled, eyes lit up. Whatever it is leaps from the top of the structure into darkness. Suddenly the swings behind the man rattle and the footage turns black. Could this be the infamous monster from urban folklore? In 2006, when the internet was attempting to pool together stories about the creature, one account stood out. 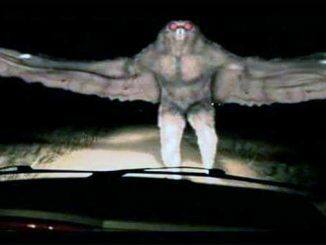 It appeared to reference an encounter that took place during the wave of sightings in 2003 and is by far the most detailed account of an encounter with the creature. According to the writer, they were lying in bed after returning from a trip when they thought they heard their husband get up to use the bathroom. Deciding this would be a good opportunity to steal some more of the blankets, they yanked on the covers only to hear a complaint from the other side of the bed. They turned around, surprised to see the husband still in bed. At that moment, the husband suddenly jerked his legs away from the edge of the bed violently. The cause soon became apparent. At the end of the bed sat a large, hairless creature. It sat in an unnatural position, as if it had been injured in some sort of accident. The writer’s initial reaction was concern, thinking that the creature needed help. The creature suddenly crawled to the husband’s side of the bed and stared at him menacingly for several seconds before running toward the children’s rooms. Running from the room, the writer saw the creature crouched in the hallway, covered in blood. Their daughter stood next to the creature.